Post-tensioning works to be executed at Extended Pier caps, Cross over & Station building beams. This bridge is located in Bangalore. The total length of flyover was 2.34 k.m.The number of segments was 785 nos and duration was 18 months. This bridge is located in Bangalore. The total length of flyover was 1.5k.m. 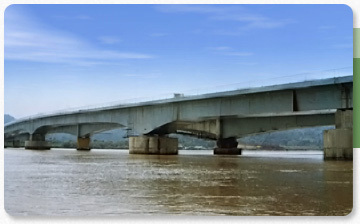 This bridge is located on Mumbai-Delhi Highway on NH-8. The bridge was constructed by using segmental cantilever method.